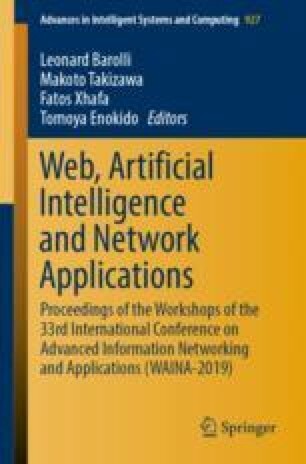 This paper proposes a Web API (Application Programming Interface) design for IoT data collected from a smart community’s platform. The IoT data of a smart community should be utilized for residents, who are owners of the data, for services and applications because storing data makes cost. Therefore, a smart community would have a database that collects the IoT data, and a Web API that distributes only allowed the data for third party, which would provide smart community services to the community, is necessary. To provide IoT services and applications to a smart community, IoT data, which is specifically collected by IoT devices, should be distributed after analyzing data meaning. Thus, the Web API provides both IoT data and meaning to enhance developing applications such as high-dense temperature information. As a case study, we show the smart-community-based Web API first, and then show examples on the utilization of real IoT data collected in Urawamisono, Saitama city, which is approximately 30 km from central Tokyo, in Japan. This work was supported in part by the R&D project “Design of Information and Communication Platform for Future Smart Community Services” by the Ministry of Internal Affairs and Communications (MIC) of Japan, and was supported by Funds for the Integrated Promotion of Social System Reform and Research and Development, MEXT, Japan, and by MEXT/JSPS KAKENHI Grant (B) Number 17K12789 and SECOM Science and Technology Foundation.